Our law firm prioritises providing flexible and specific solutions to issues and problems that may arise in a family environment. Our family expert team will guide and help you throughout the procedure of divorce or separation of the couple, and with all the problems that may appear day by day in the implementation of the agreement and in the decision making. In addition, in the event that you wish to modify an aspect due to a change in personal circumstances, our lawyers will advise you on the necessary steps so that the previous agreement can be validated in the event that you already have a judgment of divorce, separation or regulation of effects of custody. We are also experts in other areas of family law: maintenance and compensatory pensions, liquidation of the community of property by mutual agreement or conflict, termination of prenuptial condominiums. Issues arising from parentage (disputed paternity), adoption records, or records for the protection of persons, in order to, for instance, claim legal incapacitation and appointment of a guardian or steward for those family members who have persistent physical or mental deficiencies or a disease, these people cannot take care of themselves. The Family Department also has extensive experience in child abduction, both nationally and internationally, which is occurring more and more frequently due to the increase in mixed marriages. Do not hesitate to contact us: we will be delighted to provide you with further information and help in every manner we may be of assistance. Civil and/or criminal claims of maintenance. Amendments to the divorce, separation and custody decrees. Breakup of the condominium’s joint estate. 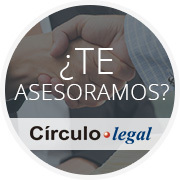 Procedures for the judicial enforcement of violations of the agreement. Screening procedures and paternity challenges. Voluntary jurisdiction records (decisions on schools, extracurricular activities…). Settlement of the marital property system. Legal incapacitation. Appointment of guardian or steward.